The House of Representatives on Tuesday lifted the suspension placed on the former Chairman, House Committee on Appropriation, Abdulmumin Jibrin. Suspended former Chairman of the House of Representatives Committee on Appropriations, Abdulmumuni Jibrin, must be a happy man now. This is because he is set to resume legislative activities. The House has finally lifted his 180-day suspension. Jibrin represents Bebeji/Kiru constituency in Kano State. The lifting of his suspension did not come on a platter of gold however, as Mr Jibrin who was tired of staying away from the House had decided to apologise to the House, against a position he had earlier taken. 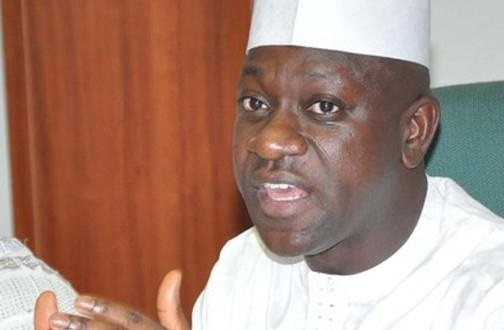 In the letter, Jibrin apologised for breach of privileges of members, following his allegations of budget padding and infractions by the House. The letter of apology was announced during plenary by the Speaker of the House, Yakubu Dogara. Although he did not read the content of the letter, the Speaker said by implication, the lawmaker can resume "if he wishes". Jibril accused Dogara and other principal officers of the House of allegedly attempting to pad 30 billion Naira projects into the budget. He said his inability to allow the said projects into the budgets became an issue with the lawmakers. He had also alleged that the Speaker, Deputy Speaker, Chief Whip and Minority Leader had allocated “billions of wasteful projects running over 20 billion Naira to their constituencies”.